I am a 6th year Ph.D. candidate in Astronomy at Columbia University. 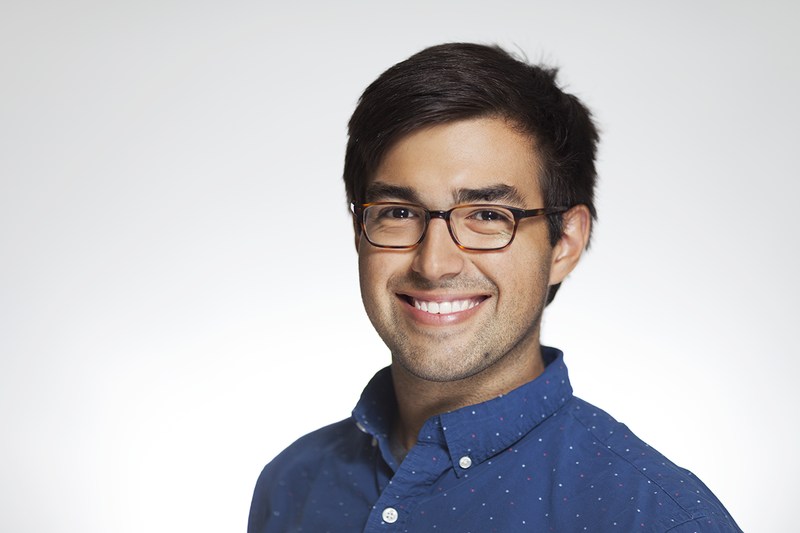 I study the formation and evolution of galaxies, from the smallest dwarf galaxies to massive galaxy clusters, using hydrodynamics simulations run on high performance supercomputers. In particular I am interested in properly modelling the detailed physics of star formation and stellar feedback in galaxy-scale and cosmological simulations using Enzo. I am interested in understanding how these processes drive the cycle of metal enrichment at all scales in galaxy evolution. This includes how metals mix within the ISM and enrich star-forming gas, what determines stellar abundance patterns in galaxies, and the flow of metals into the circumgalactic medium and intergalactic medium around galaxies. Finally, I am working to leverage both my simulations and observations of Local Group dwarf galaxies to better understand galactic chemical enrichment. Inspired by the increasing number of open-source code projects and open-science efforts, I am dedicated to open science in all of my simulation and analysis code. Feel free to check out my Bitbucket and Github repositories!! 1) How does each element from individual sources of enrichment (stellar winds, AGB winds, core collapse supernovae, Type Ia supernovae, and other exotic sources) mix in a multi-phase ISM? 2) How do detailed models of stellar feedback regulate star formation, drive outflows, and influence galactic chemical evolution in dwarf galaxies? 3) What physical processes determine stellar abundance patterns in dwarf galaxies? To address these open questions, I developed a new model for star formation and stellar feedback in the hydrodynamics code Enzo. 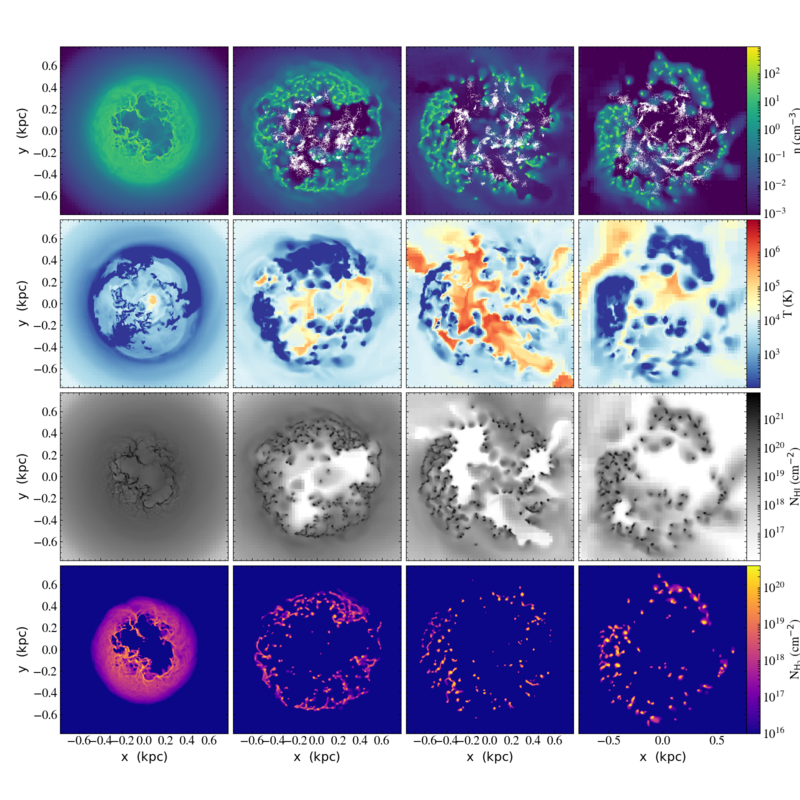 For the first time in galaxy-scale simulations, I follow star formation, stellar feedback, and nucleosynthetic yields for individual star particles. For a complete, up-to-date list of my published work, click here. In this work, I demonstrate: 1) metal mixing and ejection from galaxies depends on nucleosynthetic source, 2) AGB wind elements (e.g. N, Ba) are less well-mixed and are retained at a much higher fraction than core collapse supernovae elements (e.g. O, Mg), and 3) metal abundance distributions in the ISM can be fit using a log-normal and power-law PDF. 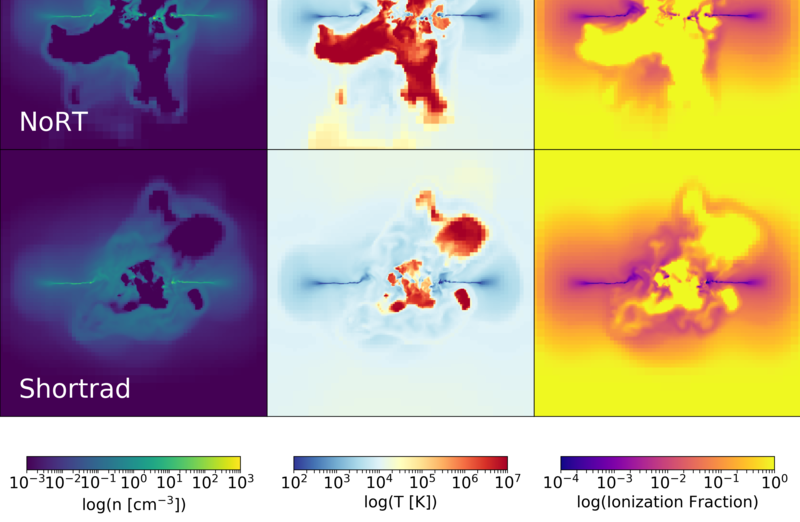 In a short letter, I demonstrate that stellar ionizing radiation feedback regulates star formation in low-mass dwarf galaxies by destroying cold, dense gas near massive stars. Approximate methods of radiation feedback should capture this effect. 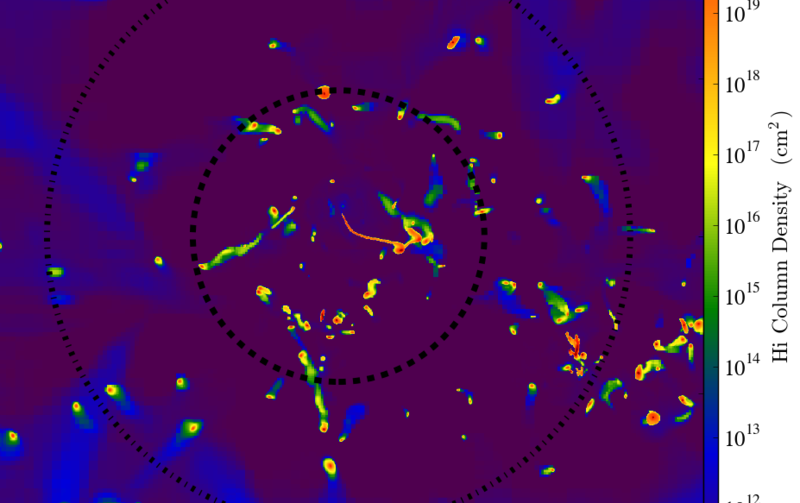 However, long-range effects create conditions necessary to drive the significant outflows required to match the chemical evolution of these galaxies expected from observations. Clicking the above image will play a movie. 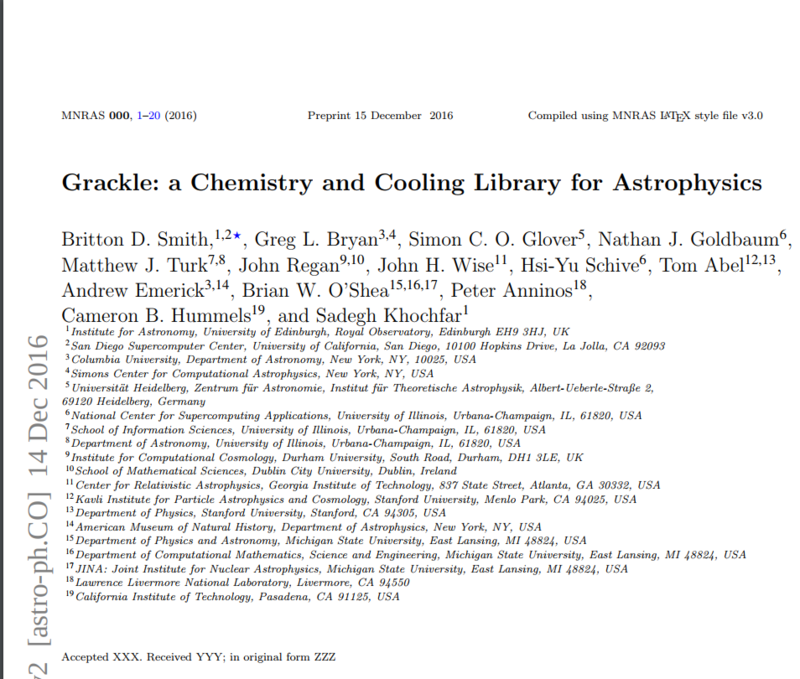 I developed a new model star formation, stellar feedback, and chemical evolution in the hydrodynamics code Enzo to study each of these processes in detail. This follows stellar wids, AGB winds, photoelectric heating, Lyman-Werner radiation, and stellar ionizing radiation using ray-tracing radiative transfer for individual star particles. To better understand the role of ram pressure stripping and stellar feedback in quenching the lowest mass satellites of the Milky Way, I ran a series of hydrodynamics simulations testing these effects for a tiny dwarf galaxy. 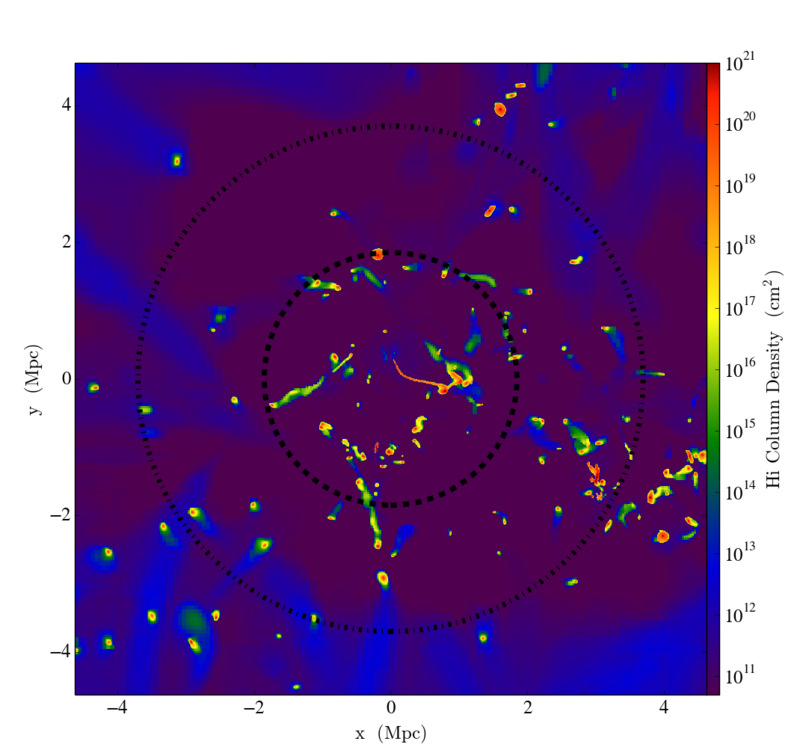 Warm gas (104 K < T < 106 K) is a significant resivoir of baryons in galaxy clusters, but it is difficult to detect. Recent observations of warm gas in the Virgo and Coma clusters, motivated synthetic observations of simulated galaxy clusters, which I present in this work. We find that warm gas seen in absorption generally corresponds to IGM inflows.